Soft and Cuddly Brushed Fleece: Give Me More! Brushed Fleece! I am just so in love with this yarn from Rowan. 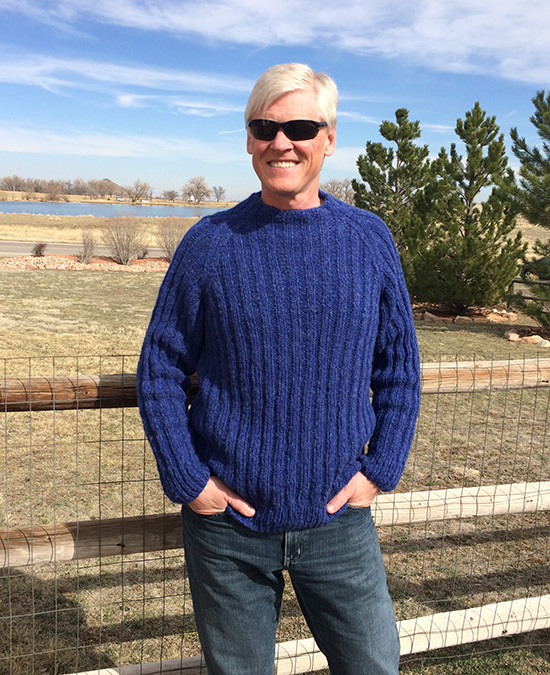 Earlier in the year I knitted this all over rib sweater called Trent for my husband Neil and he wore it in the evenings to keep warm when we went skiing in the Rockies. Trent is from the Brushed Fleece brochure which features 16 garments for men and women including cocooning wraps and shrugs, voluminous capes, sweater dresses, classic long and crop cardigans, all designed by Martin Storey. 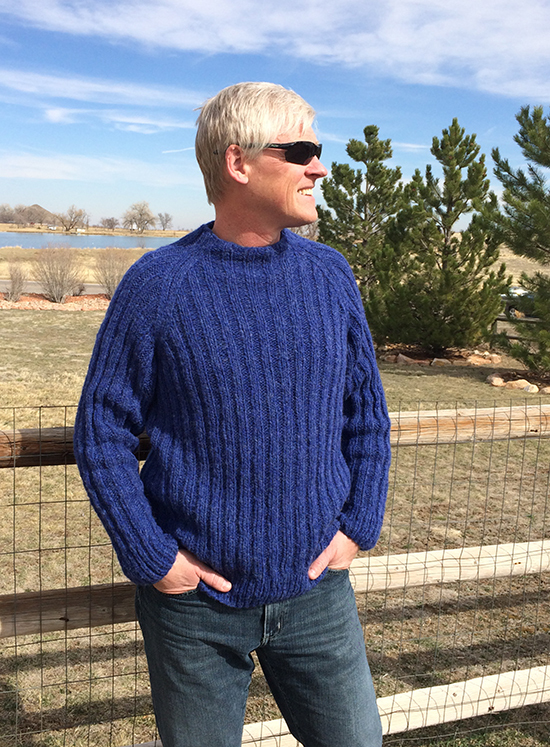 Although Rowan states that the knitting pattern for Trent is for the beginner knitter, I did have to make a few changes to the area across the shoulders. You can see from the photo below that it appears to be pulling and stretching quite a bit across the upper chest area and then puckering just at the lower neck. Well, in reality, it does this quite a lot! I had to re-write the pattern for this area, adding more stitches across the widest part of the shoulders and then decreasing them towards the neck. He didn’t want the neck to come up too high so I cast-off after only a few rows. My husband had to go through quite a lot of painful fitting sessions until I got the perfect fit for him. 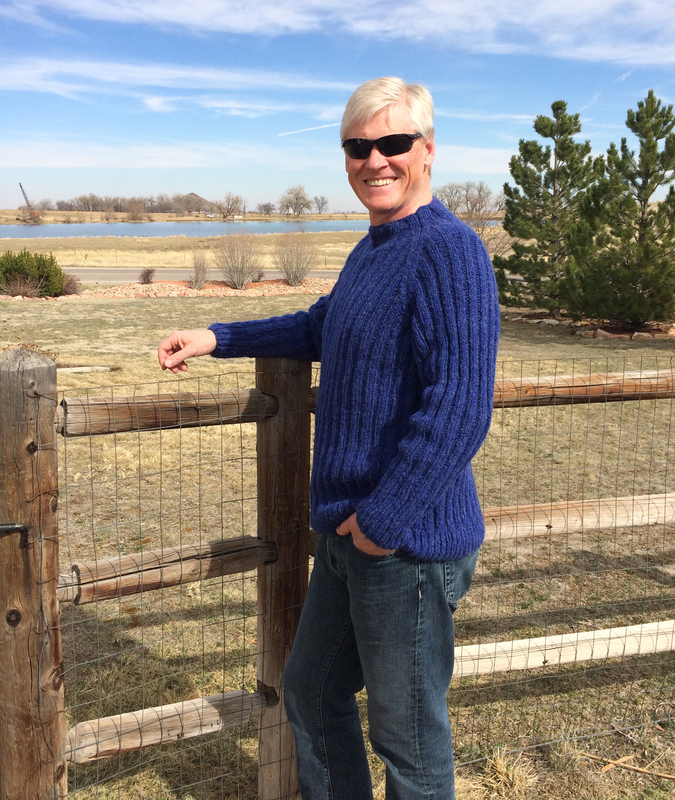 But, it was worth it as he really does love this sweater and the blue shade, Den, looks great on him too! So, why do I love Brushed Fleece so much? Because it is extremely light and cosy to wear and there is absolutely no scratchy or itchy feeling next to the skin. 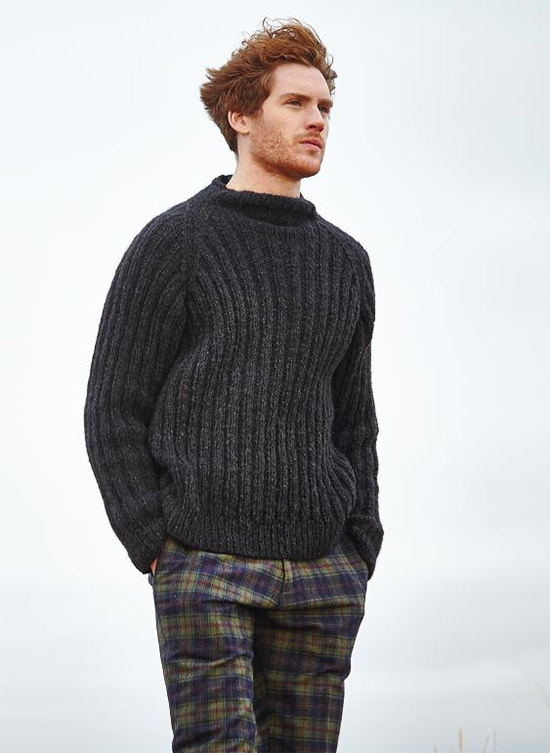 This is not surprising as it consists of 65% extra fine merino wool, 30% baby alpaca and 5% polyamide. It must be the baby alpaca that gives the yarn it’s soft and lofty quality. It is warm to wear but not excessively so which makes it great to wear on it’s own or to layer for extra warmth. So, with this in mind I decided to knit myself a big cuddly, right up to the chin winter sweater. 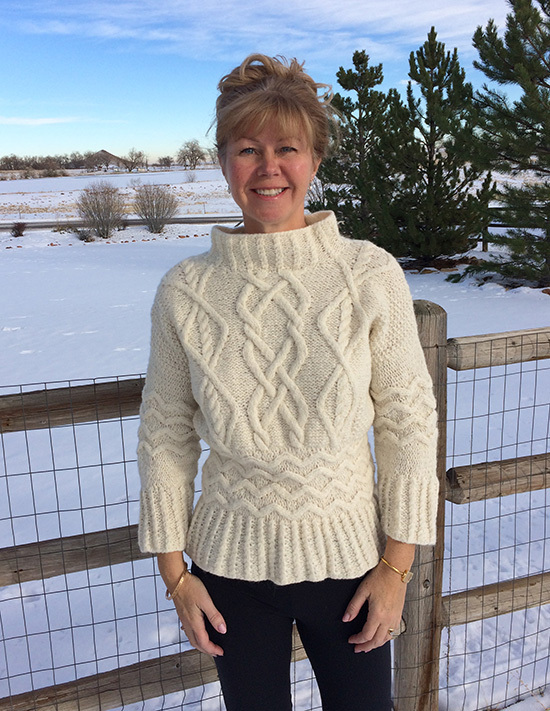 I chose Wintry, designed by Marie Wallin, from Rowan Knitting & Crochet Magazine 58……. The photo in the magazine was not a great one; you couldn’t really see how it was supposed to look. What was the lower body like? Is the neck really that wide? Before I decide to knit a design I always go to Ravelry and search for it there first. Then I click on projects to see what others knitters have to say and maybe see some of their photos. If there are too many negative responses and dreadful looking results I will decide against knitting it at all. This did help me see that Wintery would be OK and I could make adjustments if necessary. Well, I did have to make adjustments. For a start the arms were way too short on me. To make them longer I had to add extra stitches which I knitted in moss stitch before and after the cable pattern. 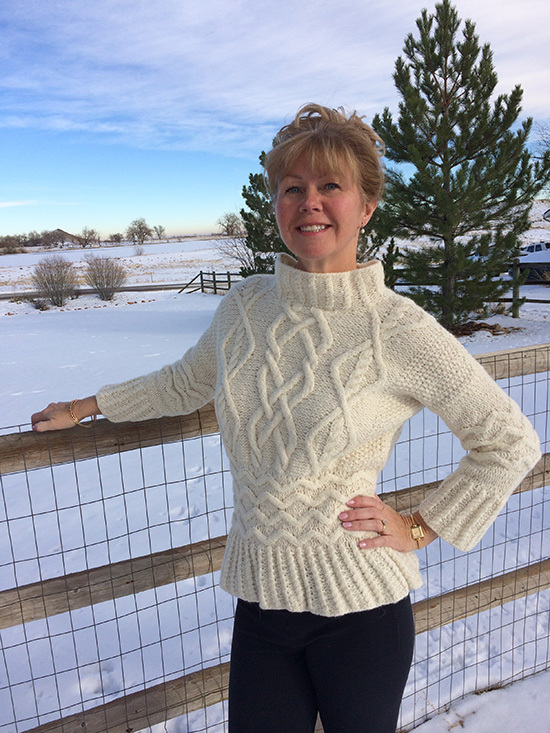 The sleeves are not knitted up the arm in the conventional way but around the arm. I also did not like the very wide neck so I decreased more stitches than stated in the pattern for the shoulders which then left less stitches to pick up for the neck. 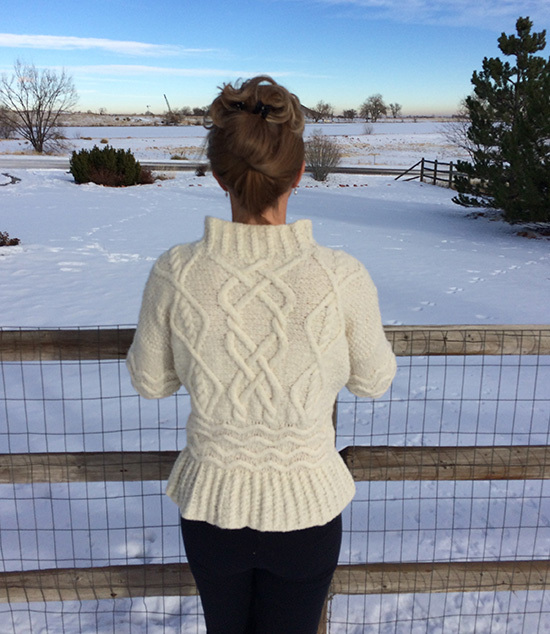 The fancy twisted rib for the neck is knitted with only one shoulder seamed together, so not in the round. You then sew the other shoulder seam together and carry on up joining the neck at the same time. This left a seam which you could see on the inside of the neck as the neck is wide and also made it sit a little strangely. So, I undid the neck seam, but left both the shoulder seams, ripped back the neck and knitted it again in the round so there were no seams to see. Gosh! Can I ever knit something from a pattern without having to alter it so much! I obviously have a very strange body! Here’s my Wintery version……. I have now bought a few more balls of Brushed Fleece in a beautiful shade called Heather (now discontinued) and will knit a color block sweater adding these balls to the left over yarn from Wintry and Trent. I haven’t decided what design to use yet but will probably keep it fairly simple, maybe something like Carmel from the Brushed Fleece Brochure……. 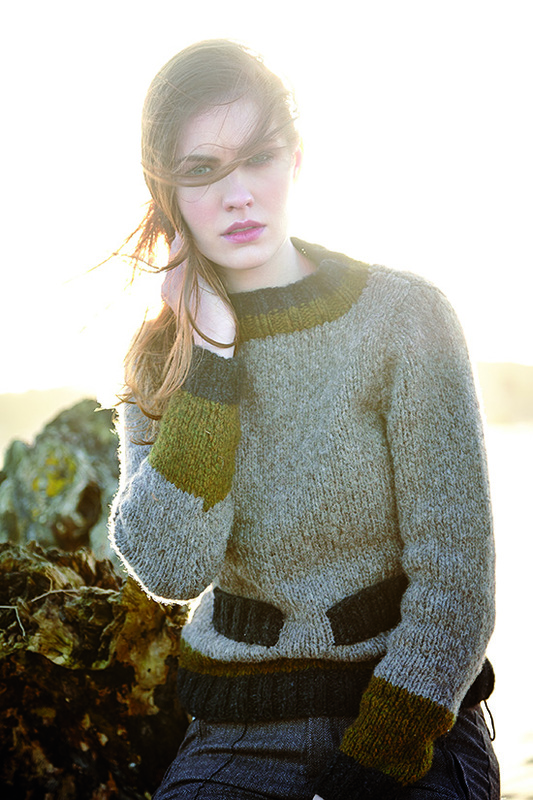 You may remember that I knitted Esk from this brochure and wrote a post about it in February 2015………. 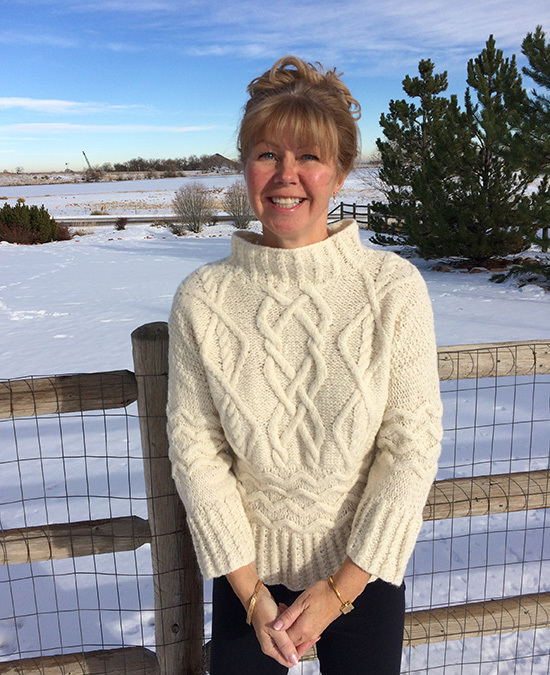 Check out this blog post “Cuddly Cardigan in Brushed Fleece” to read all about it. If you have never looked on Ravelry click on the link below and if you want to become a member it’s free! 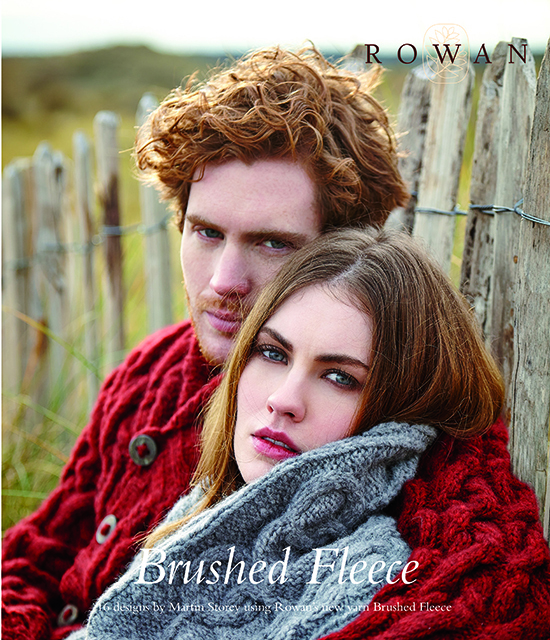 And what do you think about Rowan’s Brushed Fleece? Neil and I are super happy with our Brushed Fleece sweaters!